Overnight on August 5, Aziz Asbar, the head of the Syrian Scientific Studies and Research Center (SSRC), died after an IED had hit his car in the village of Masyaf in the western countryside of Hama. Asbar’s driver was also killed in the attack. The SSRC is a Syrian government research agency, which is according to the US-Israeli-led bloc is actively involved in the development of missile and even chemical weapons. The Damascus government has been strictly rejecting accusations of stocking, developing or using chemical weapons since it employed its agreement with the Organisation for the Prohibition of Chemical Weapons. Initially, pro-government sources speculated that Israeli special services may have been behind the attack because, according to some sources, Asbar was involved in the missile program linked to activities of Hezbollah and Iran in the region. Later, the radical rebel faction Saraya Abu Amara claimed responsibility for the attack. However, the Israeli trace cannot be excluded because Tel Aviv has repeatedly shown its ability to cooperate with various radical groups to achieve own political and military goals. An example of this is the situation in southern Syria where Israel had been tolerating presence of ISIS and other radicals for a long time until the Syrian Arab Army (SAA) defeated the terrorists. 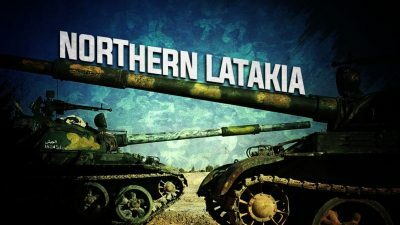 A source in the SAA revealed to SouthFront that the Syrian military has redeployed several units armed with heavy military equipment and artillery from the southern provinces of the country to northern Latakia. Considering information from other pro-government sources, this move could be a part of the ongoing preparations for a military operation against Hayat Tahrir al-Sham and its allies in the area. The SAA has continued its efforts aimed at combating ISIS cells in eastern al-Suwayda. In regards to this situation, General Commander of the Kurdish People’s Protection Units (YPG), Siban Hamo, claimed that his group is ready to send forces to assist the SAA effort in the area. While this statement is another sign of a possible improvement of the relations between the YPG and Damascus, this scenario remains unlikely.